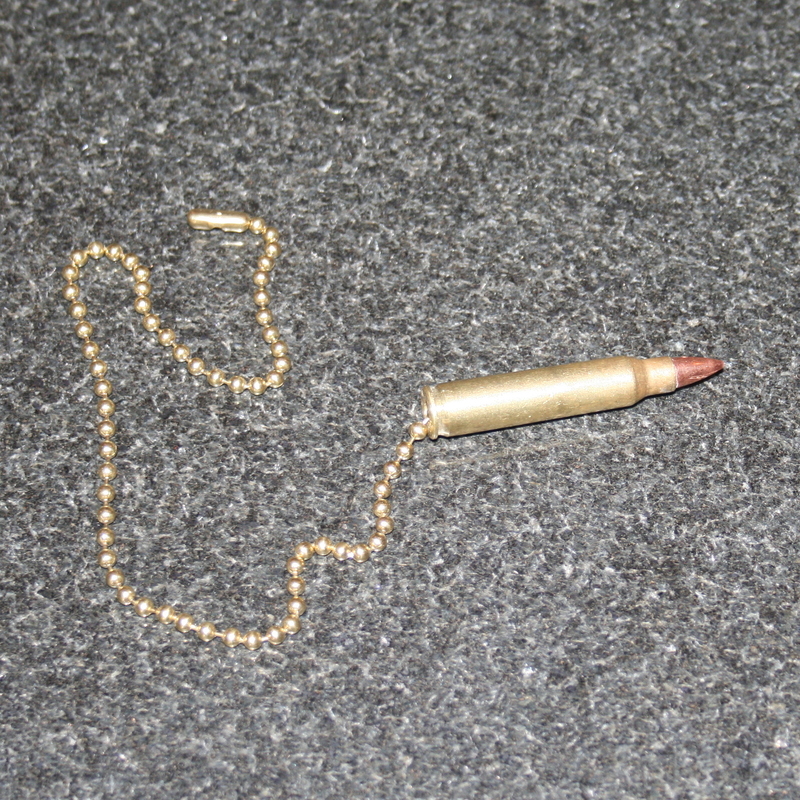 Spent Brass Bullet .223/5.56 nato spent brass lamp or fan pull chain. Comes with 10" of beaded brass chain and connector. We make each by hand using deprimed spent brass that we clean inside and out removing all gun powder etc. completetly harmless.